Back in September Samsung announced it would release their flagship Galaxy S II device in new flavors. 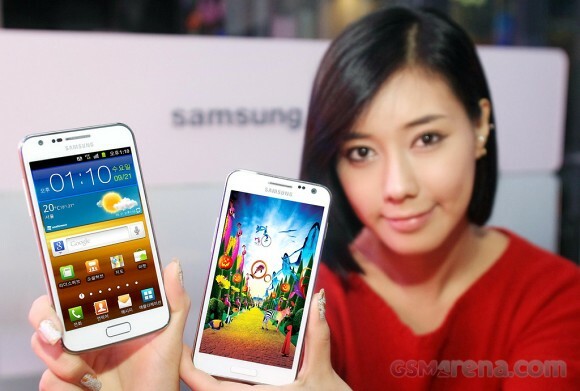 The South Korean exclusive Galaxy S II LTE and the Galaxy S II HD LTE were just released on the local market and guess what, they now have white as an optional color in tune with the holiday season. The HD LTE comes in all of its 4.65" Super AMOLED 1280x720 glory with a dual-core 1.5 GHz and, naturally LTE connectivity speeds. The Galaxy S II LTE has a 4.5" WVGA (480x800) display, which is about the only difference between the two. They should both be available on SK Telecom as previously told but on HSDPA and LTE, sans the CDMA. The phones look stunning and do bring a lot of bang for today's standards. Still we're eager to see what the upcoming CES and WMC will bring - they did bring us the Galaxy S II this year after all. DEAR SAMSUNG.. Great job after all.. but keeping to ur own country is not fear, please release this in indonesia.